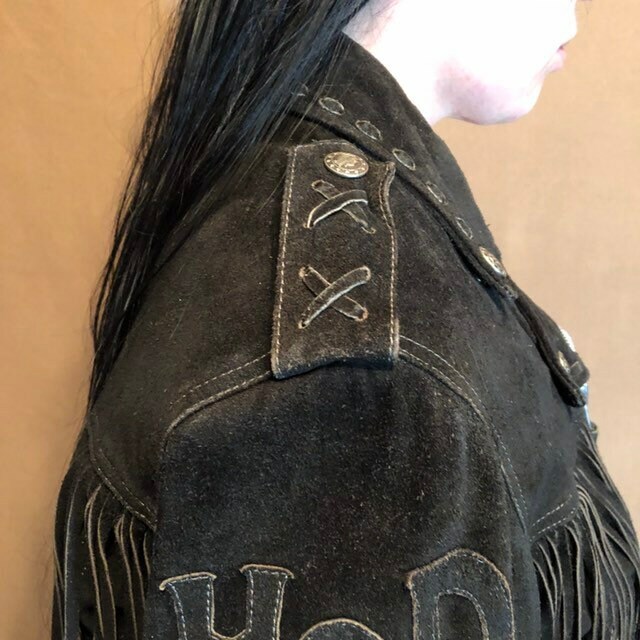 Super rare suede jacket for any Motorcycle or Harley-Davidson enthusiast. 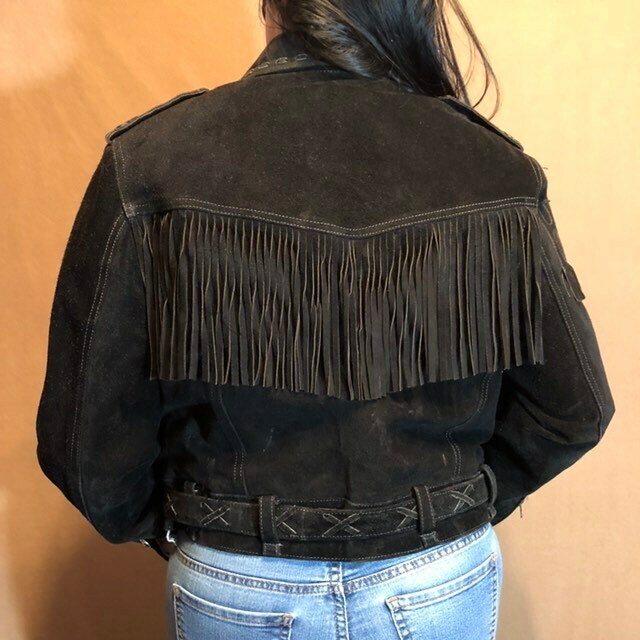 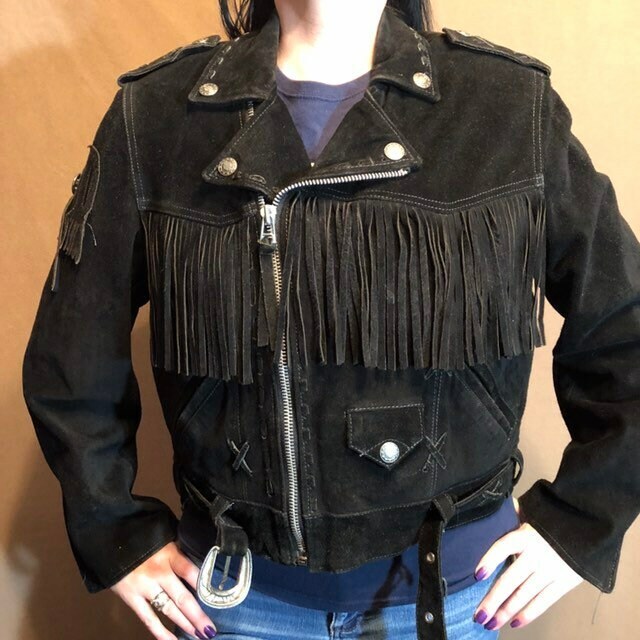 This is a Ladies XL Harley-Davidson Motorcycle Fringe Suede Jacket. 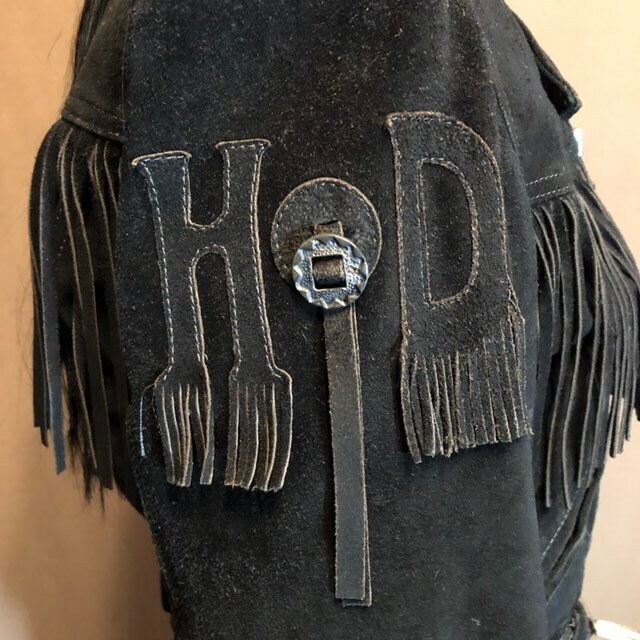 Fringed HD appliqué on right arm, fringes on front and back. 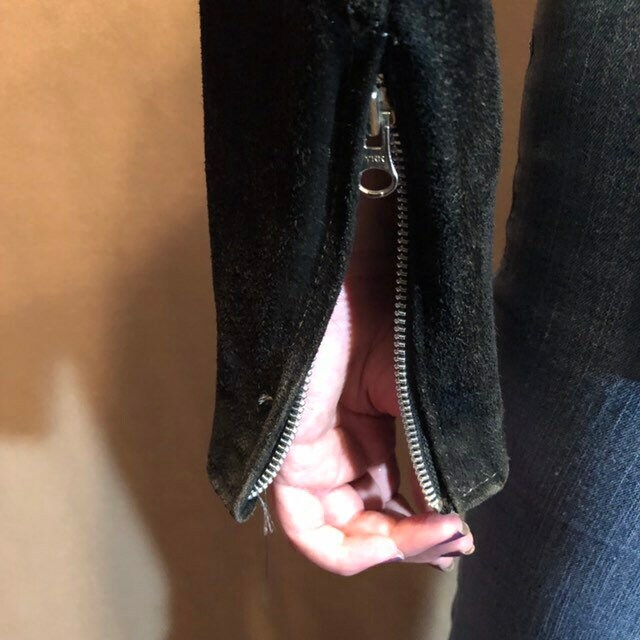 Stitched waist belt and thin HD lining. 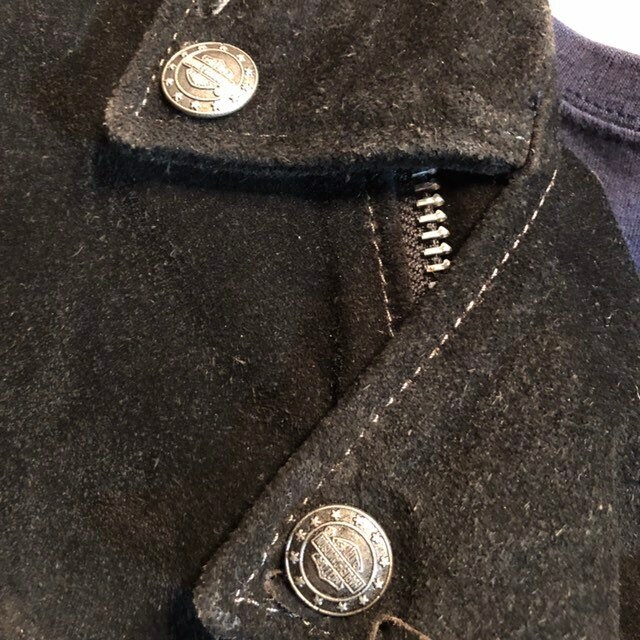 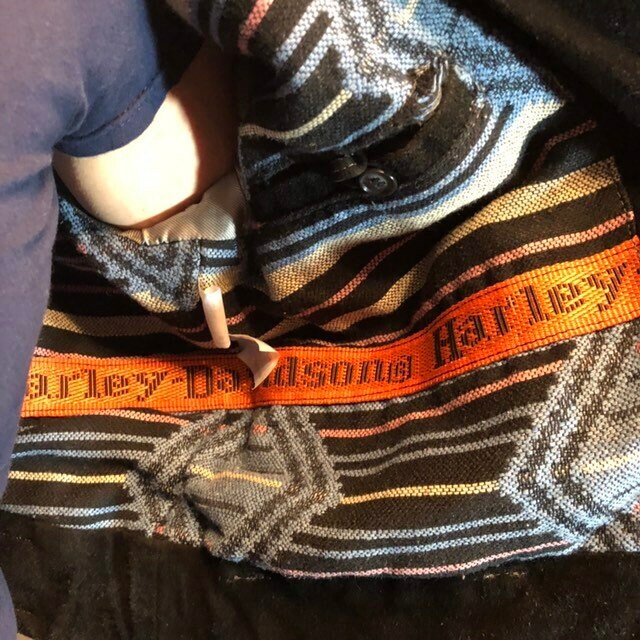 All buttons have Harley Davidson logo. 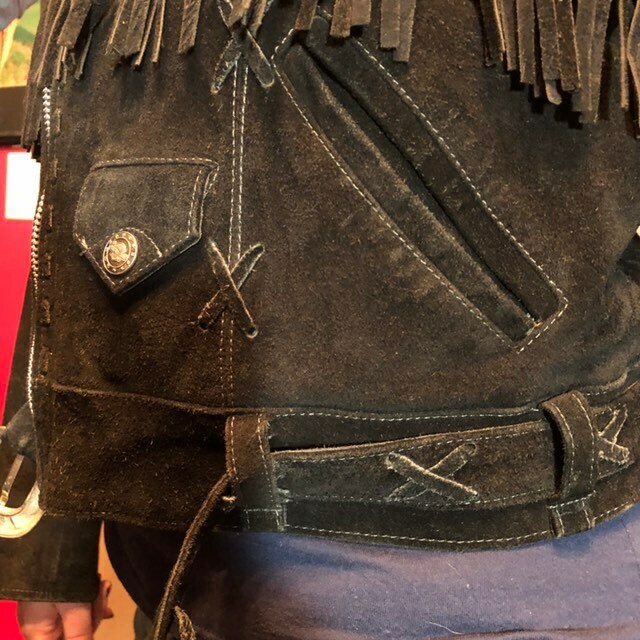 Incredible jacket. 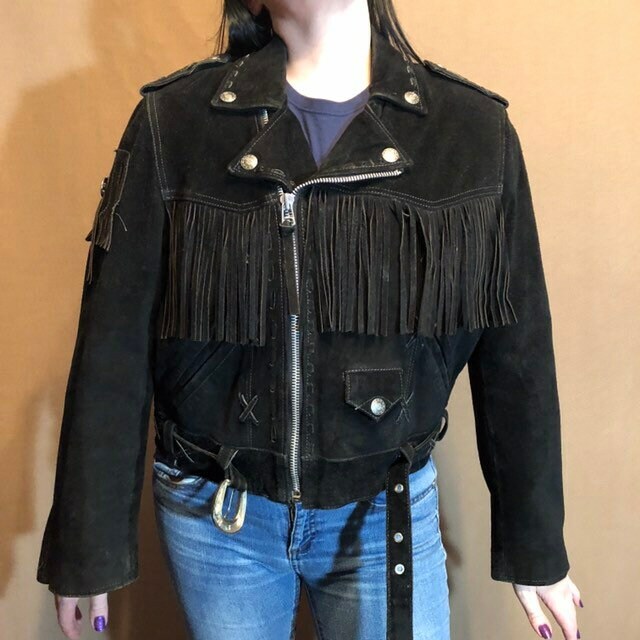 Extremely rare and exceptional condition.